When I first started this website I went through the Google guidelines and more or less followed their advice to the letter. After all, Google has become the number 1 search engine that most people use. 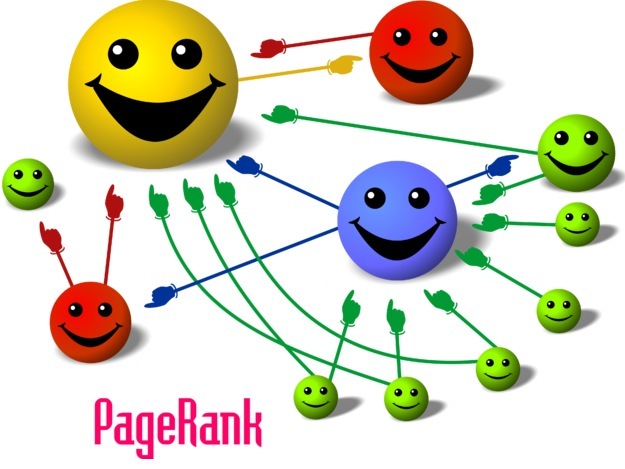 SEO ‘Professionals’ at the time I started running websites were promoting link wheels, link farms and various other link related SEO methods and even one that resembled a food pyramid that I’d seen in a health leaflet in a doctor’s surgery. I had random emails asking for reciprocal linking and also SEO ‘Professionals’ inviting me to load up my website URL into their super fast software blunderbus creation and blast it out to 100,000 sites. Any old sites back then of course, it could even have been the local vets website as long as it had a good PR value. Luckily for me, when I first started blogging and running a website I wasn’t focused on monetising a website, I wanted to build up websites with articles that I personally found interesting to write. I also knew that most websites are shut down after the first 6 months because people begin to realise that the ‘get rich quick’ hype of what kind of money you can make with a website is usually overhyped. Because I wanted to run websites as a hobby initially, I didn’t bother with the link building rush and instead read through Google’s guidelines, implemented a few recommended SEO procedures for posts and left it like that. I was more concered about learning HTML so I could have a good foundation in website building than chasing traffic. I’m glad that I took the time to learn HTML in the end as even though I now use WordPress, I can always look under the hood and make changes if I need to. Plus, I’m counting on WordPress as a content management tool, rather than a safety net because I’m comfortable using HTML. It wasn’t long after this that the Google algorithms were changed and eveyone who had used link farms and various link blasting methods were penalised. So, they started to be very careful and concentrated their links rather like snipers, placing links on high PR quality websites instead. Then came another set of algorithm changes, they couldn’t use the same URL link keywords, they had to change it to varying URL keywords, so again, people were penalised and the SEO ‘professionals’ who had advised on link building in the first place are now offering ‘link removal’ services with much success. Let’s just stop and think about that . . . SEO ‘professionals’ advising to take advantage of a weakness in Google’s algorithms, people paying for the link placing services, then, Google fixes the weakness, no doubt alerted to the weakness by the types of SEO services popping up all over the place, Google then fixes the problem, then SEO ‘professionals’ charge the same people to take all the links back down and repair the damage. How insane is that? It’s not just links, I have a friend who was advised by SEO ‘professionals’ to stuff his image descriptions with keywords. Google, after no doubt keeping a watchful eye on the translucent tactics of black hat SEO ‘professionals’ then penalised websites for doing this. The same happened with keyword stuffing. “Stuff the post with keywords!” was all you heard in the past, then posts stuffed with keywords were penalised. Really, it’s okay to put a keyword in the introduction main body and conclusion, plus the title, but would an article that’s stuffed with the same keyword be enjoyable to read? Just think about the word ‘SEO professional’ that I’ve deliberately overused in this article up to this point – it gets annoying, I’m even fed up of typing it already. It becomes repetitive to read and black hat tactics are so obvious as the methods are plastered all over the Internet, as if people working in the offices at Google will somehow be too pre-occupied to even bother to look at how their algorithms are being exploited in any way. Some people blame Google, saying that once upon a time, Google said that links were good and now too many links are bad. Well, apart from having an almost complete monopoly on the search index of the Internet they are trying to promote quality content that people like to read, because that is precisely what backs up the credibility of their popular search engine. It’s their bread and butter so to speak that their whole business has sprung from. Such as when they altered the algorithms to punish websites with excessive ads. Why did they do this? So that a duff website full of ads would not be shown in the top ten of their search lists when people are counting on Google search to find the best content to fit their required needs. The solution to avoiding getting caught up in being punished by Google is not to listen to advice from people exploiting loopholes, whether it’s a friend or an SEO enthusiast. Go middle of the road, with not too many ads up, genuine links, a few guest posts here and there but not too many, and dare I say it, ignore all of the SEO shortcut hype and tricks. Don’t do anything that wouldn’t make your Mum proud. You will have more time to write quality content for your site instead of messing around in the dark and dirt of SEO optimisation. Just optimise your posts healthily, with a few keywords (not too many) H1 or H2 heading and a meta description and you are free to get on and write. This is a subjective viewpoint obviously, but it frees you up to concentrate on enjoying running a website, rather than feeling like a covert SEO agent trying to create ‘traffic’. Of course, not all of Googles guidelines are welcome, even for someone who is not being swept along by any SEO loophole hype. A recent change in Google algorithms have indicated that if you have a tech blog, your site will rank higher if all your content is about tech, or if you have a health site, then your site will rank better if all your posts are health orientated. I don’t like this at all, as it is categorising website types on the Internet, it shouldn’t be treated like a library or an encyclopedia in my opinion. Websites should be full of great content, but people who run websites (I refuse to say ‘webmaster’, as it sounds like an egotistic title or a Lord of the Rings character) should be able to choose what content, or mix of content they want to put up. For instance, I run a tech site, but I have an ‘interesting articles’ category where I like to write about subjects that are offbeat. If I have the odd break from tech, I feel refreshed when I come back to it. I like the mix as it also gives visitors to the site another area which is varied to explore if they too have read about enough tech for the day. So, do I take the ‘interesting artcles’ category down as many people have advised me to? Well, I’m not, as I primarily run a website for fun and interest, so if I’m penalised and lose a bit of PR value in the process then so be it. There are times when I’ve gone along with Google guidelines to the letter implementing white hat techniques to encourage organic traffic, but there are limits. I’m not being told what I can and can’t put up on my own website that I’m paying to have hosted. That’s my domain, excuse the pun, it’s my world to post up anything I want as long as it’s not offensive to people obviously. People have told me to put up only tech posts on a tech centred website, but why should I? In a petrol station, do they have just petrol there? No, they have coffee shops, convenience stores and areas to sit and chill out for variation. So, in a nutshell, one SEO method that I am following is to ignore SEO hype and ignore Google when they overstep the content freedom line and just enjoy running websites, for fun primarily. If I find an article interesting, the chances are a few other people out there will too. If they were re-spun articles that have been farmed out to India, China or Amazon jungle tribes, or the site had 1000 ads on the homepage, no one would ever visit again. It’s also kind of liberating to hit a point where you’ve done what you can to implement white hat SEO and read through the Google guidelines, but enough’s enough, it’s your website, put up posts that you want, conserve your individuality and if you want to mix it up a bit at the expense of a little bit less traffic, why not? Be open to advice but don’t be controlled. What are your views? I’ve given SEO services a bit of a bashing in this article, but to be fair, has anyone ever used SEO services to implement white hat SEO methods and seen a lasting benefit and effect? Is there anyone else who has switched off to the algrithm culture, ignoring it instead and just running a website primarily for enjoyment?